Our health is always a delicate balance, with fluctuations that we may recognize as minor changes over time or catastrophic problems that require immediate medical attention. Although we may be in touch with our general feelings of well-being, it is far less likely that we can recognize the exact causes of our symptoms when they arise. Without medical training, we rely on our doctors to recognize our symptoms, identify the underlying medical condition, and recommend appropriate treatment. When they fail to do so, this negligence can allow otherwise treatable ailments to progress without intervention and potentially lead to severe or even life-threatening health complications. If you or a loved one has suffered harm because of a doctor’s failure to accurately diagnose or treat your medical condition, you may have grounds to pursue compensation through a medical malpractice lawsuit. At Fronzuto Law Group, our skillful attorneys provide representation to victims across New Jersey in a vast array of cases involving medical malpractice and hospital negligence. Having achieved millions of dollars in verdicts and settlements for adults, children, mothers, and their babies from Passaic to Bergen, and Essex to Morris counties, we are prepared to serve as your legal advocates and compassionate counselors in pursuit of justice. Schedule a free initial consultation with our New Jersey medical malpractice lawyers today by calling 973-435-4551 or toll free at 888-409-0816. You may also contact our law firm online to find the answers to your questions. 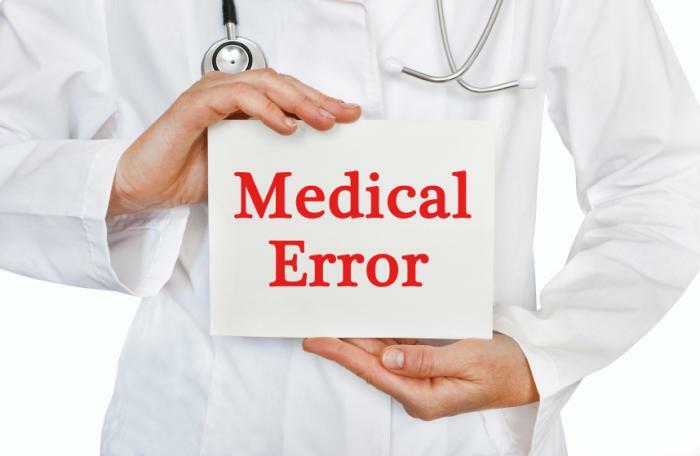 One of the most common forms of medical malpractice is the failure to diagnose or treat an injury or illness. Patients depend on their doctors to recognize the signs and symptoms of a serious medical condition and then take prompt action by providing effective medical treatment. When doctors fail to diagnose or treat a serious medical condition, it can cause irreparable damage to the patient. In the worst cases, failure to diagnose or treat an illness can lead to wrongful death. For example, when a doctor fails to diagnose cancer at an early stage, the cancer can progress and may even become untreatable through chemotherapy or radiation. Even in cases where the cancer is treatable, late diagnosis can mean the patient has to undergo the harmful side effects of chemotherapy or surgery, as opposed to a less intensive course of treatment. Another example of failure to diagnose is occurs when a patient goes to the emergency room complaining of chest pain that is not diagnosed and treated in a timely manner. The failure of ER personnel to accurately diagnose a heart attack or stroke could lead to permanent injury or death that might otherwise have been avoidable through proper diagnosis and treatment. Failing to recognize symptoms: Doctors are expected to meet a certain standard of care when treating patients. This standard of care typically includes recognizing the symptoms of a serious medical condition when evaluating the patient’s health. When the doctor’s failure to recognize these symptoms leads to a delay in medical treatment, the patient may be able to file a medical malpractice lawsuit for delayed diagnosis or misdiagnosis. Dismissing certain symptoms as minor or temporary: Far too many patients go to the emergency room complaining of chest pains or some other serious condition, only to be turned away by the ER doctors and sent home because the doctors believe that the symptoms indicate something “minor.” When the condition later turns out to be more serious, it may be too late for the patient to get the necessary treatment. Failing to order and perform appropriate tests or screenings: When doctors don’t take the necessary step of performing tests on the patient, the clear warning signs of an illness or serious medical condition are more likely to go unrecognized. Misinterpreting test results: It is not enough for doctors to simply order tests or screenings of patients. Doctors also need to correctly interpret the results of those tests so that they can then treat the patient for the proper illness or injury. When a doctor misinterprets imaging or lab tests, an accurate diagnosis made later may be too late for sufficient medical treatment. Delay in treating an identified medical condition: Doctors may recognize that the patient has a certain medical condition but fail to recognize complications or changing circumstances that exacerbate the condition. Sometimes, it is important for doctors to call for immediate treatment when circumstances change so that the patient’s health does not worsen. Failing to treat an identified medical condition at all: When a doctor correctly identifies a patient’s medical condition, it is imperative that they order timely treatment. Sometimes, the doctor correctly diagnoses one condition but fails to diagnose a second condition, or is simply not equipped with the knowledge and training to address a specific type of medical issue. Miscommunication between treating professionals is another primary source of failure to treat. Failing to refer a patient to appropriate specialists: Depending on the specific medical condition, it may be necessary for the doctor to call for a second diagnosis from a specialist who possesses more in-depth knowledge of the patient’s condition. Failure to do so can have devastating consequences for the patient, especially if the patient believes that they no longer need to worry about their health or seek medical advice from a specialist in the appropriate area of practice. Failing to inform a patient about all relevant and available medical treatments: Just as patients need to be afforded the opportunity to provide informed consent before undergoing a surgical procedure, so too must patients be provided information about all their available options for medical treatment before deciding on a course of action. Failing to perform a comprehensive medical history and health evaluation: Doctors are supposed to perform comprehensive tests that may include assessment of patient-specific risk factors and health habits, such as cancer in the family, smoking, obesity, etc. However, many hospital staff have become accustomed to cutting corners when it comes to necessary testing and evaluations. Depending on the circumstances of your case, the doctor or hospital may be responsible for the error that resulted in a missed diagnosis or lack of treatment and subsequent injury or illness. Many medical malpractice lawsuits stem from a doctor’s failure to diagnose or treat a patient’s medical condition in a timely manner. Sometimes, a delayed diagnosis can be just as harmful as an inaccurate diagnosis or no diagnosis at all. The sad reality is that any kind of delay in diagnosis can have catastrophic consequences for the patient. The degree of harm is often determined by the type of medical condition that is misdiagnosed. For certain serious conditions, like heart disease or cancer, a delay in treatment can prove fatal. Even less serious conditions can be exacerbated when they go undiagnosed and untreated, resulting in the patient’s health deteriorating. Cases involving a failure to diagnose or treat a medical condition can be extremely complex. Our experienced medical malpractice lawyers work closely with you to create a timeline to show when you first reported the symptoms to your doctor and the action (or lack thereof) that the doctor took in response. When appropriate, we work with medical experts who can help us present the strongest possible argument to show that a reasonable doctor would have recognized the symptoms and prescribed appropriate treatment. For instance, it may be necessary to use expert testimony to show that another doctor would have accurately diagnosed your injury or illness. Or we may need medical experts to examine your doctor’s method of diagnosis to show that the doctor failed to take important factors into consideration and negligently ruled out certain diagnoses. We will seek compensation for your medical expenses and any available damages for the impact on your quality of life or other considerations. The damages stemming from a doctor’s failure to diagnose and treat a medical condition go beyond the health consequences. The financial costs brought on by the failure to treat a medical condition may include hospital bills, rehabilitation and therapy expenses, and lost wages due to time missed from work while recovering from the medical condition. Have you suffered harm as a result of failure to diagnose or treat? Fronzuto Law Group is prepared to help you get the compensation you deserve with an effective medical malpractice claim. If you suffered an injury or illness as a result of missed diagnosed, or lost loved one because of a doctor’s failure to treat a serious medical condition, we can assist you. Contact one of our offices today to schedule a free initial consultation about your failure to diagnose or failure to treat claim: 973-435-4551 (toll free at 888-409-0816). Our experienced medical malpractice attorneys will review the details of your case, work with medical experts to investigate the circumstances, and aggressively pursue justice.